Established in 2015, AESA Electrical Contractors (Pty) Ltd set out to become a dynamic and valued presence in the South Africa Electrical Industry. 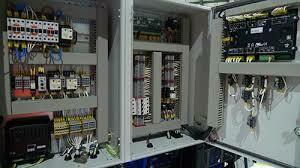 AESA Electrical Contractors (Pty) Ltd is located in South Africa, Gauteng. We are a full Service Electrical Contractor specializing in, BUT NOT limit to: Residential, Commercial and Industrial; assisted and Independent living. With over 9 years of trade experience and specialize team, our commitment to quality, safety and professionalism allows us to be a leader within our industry. The adoption of new technology in the South African market seems no longer to be driven by the desire to have the "latest and greatest". Instead the mantra is if it saves money or leverages and existing investment in new and more efficient ways, then it is worth buying. It is with this focus and mindset that we at AESA Electrical Contractors (Pty) Ltd will attend to our Customers' requirements.We have a passion and determination to ensure Customer satisfaction at all levels. We believe that the way to promote our business is through the development of good working relationships with our clients. To this end, we aim to provide high quality installations in a efficient, friendly manner, on time and to budget. We endeavor to earn the trust and confidence of those for whom we work. Our objective is to provide, within the cost plan, a service of such high quality that continuing business is encouraged. In a perfect world things wouldn’t break down. Until then, it is our mission to respond with urgency, expertise and professionalism to minimize the length and frequency of downtime. We’re committed to a high quality of workmanship and provide a safe work environment on all projects. We know that people do business with companies that meet their needs and provide reliable service. We attribute our success to building strategic partnerships and treating customers the way we want to be treated. We believe the quality in our work will represent us for years to come. AESA Electrical Contractors (Pty) Ltd are here to serve ALL your Electrical CURRENT needs the Fastest-Safest way. Providing the BEST customer service...putting YOU FIRST. 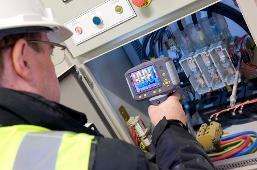 A visual inspection of your facility may reveal electrical problems, but by the time those problems are visible with the naked eye they could have already caused damage and cost you money and downtime. That is why thermal imaging is so critical. It allows us to see things that the naked eye cannot. So before an electrical problem turns critical, we can find it and fix it avoiding costly down time, equipment damage and potential safety issues.